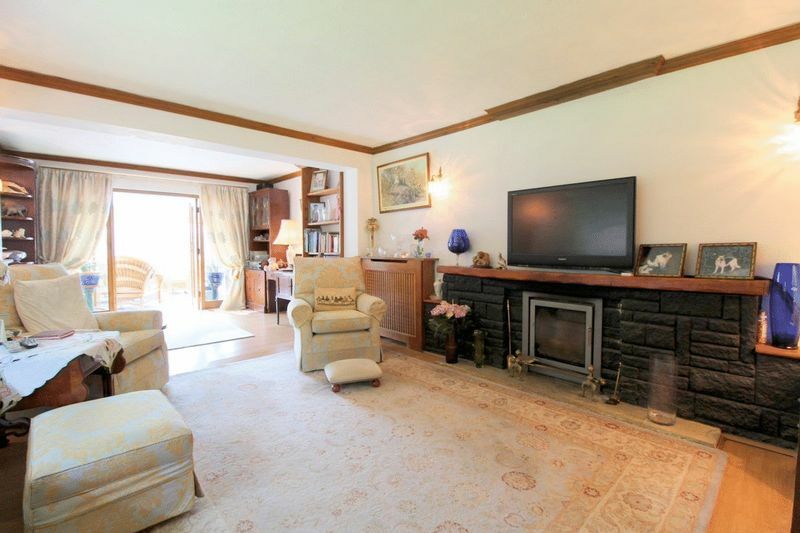 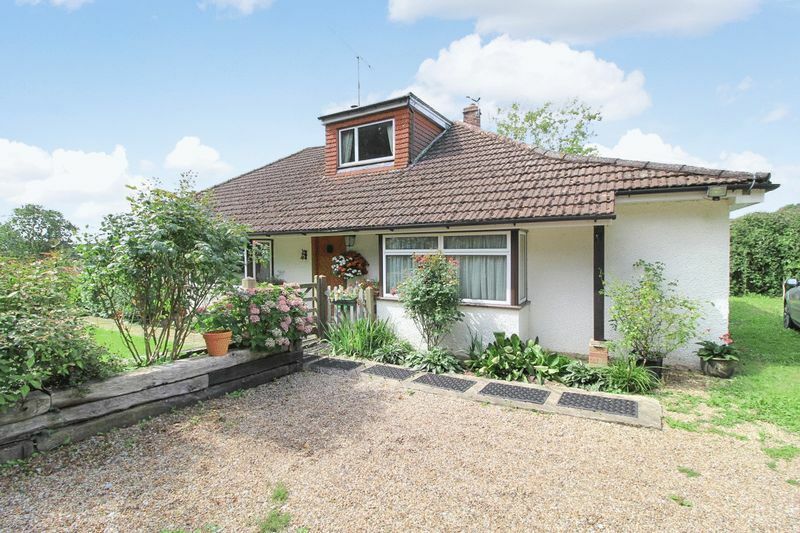 CHAIN FREE | Detached Bungalow | Approx. 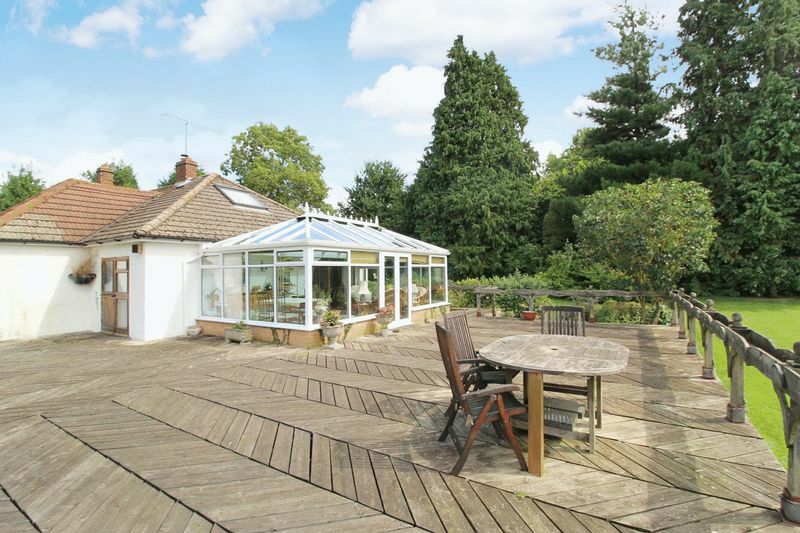 1/2 acre of land | Four/Five Bedrooms | Two Bathrooms | Large Family Kitchen | Spacious Lounge/Diner | Large Conservatory | Approx. 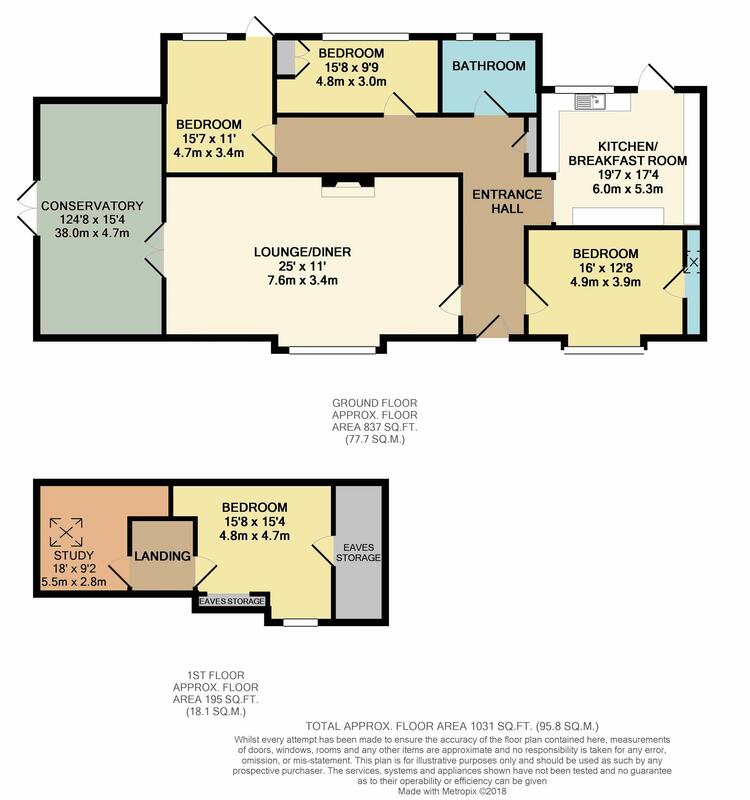 1031 SQ.FT. 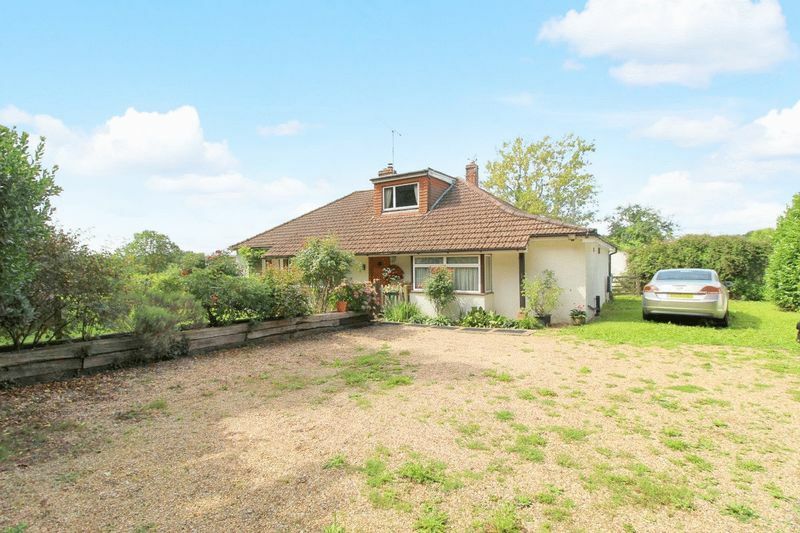 | Study | Single Garage | Private Driveway | Stunning Views | Large Double Storey Barn | Beautiful Mature Garden | Plenty of Storage | Close proximity to both Hever & Penhurst Train Stations. 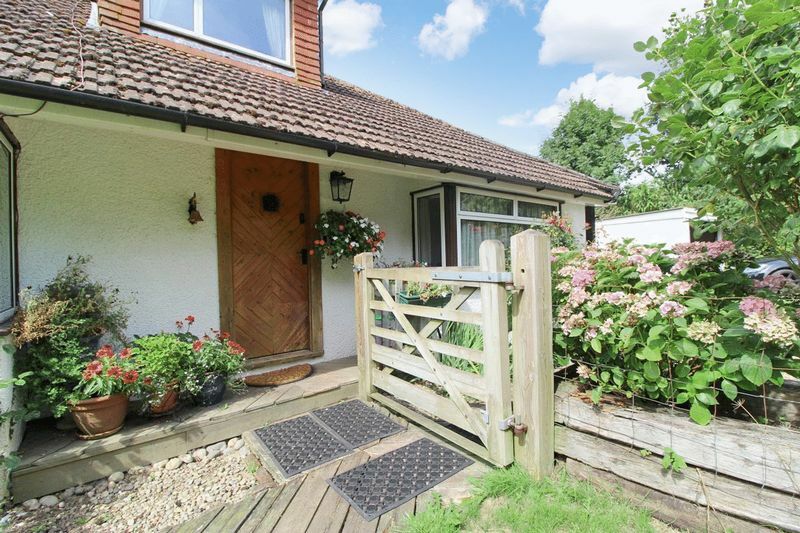 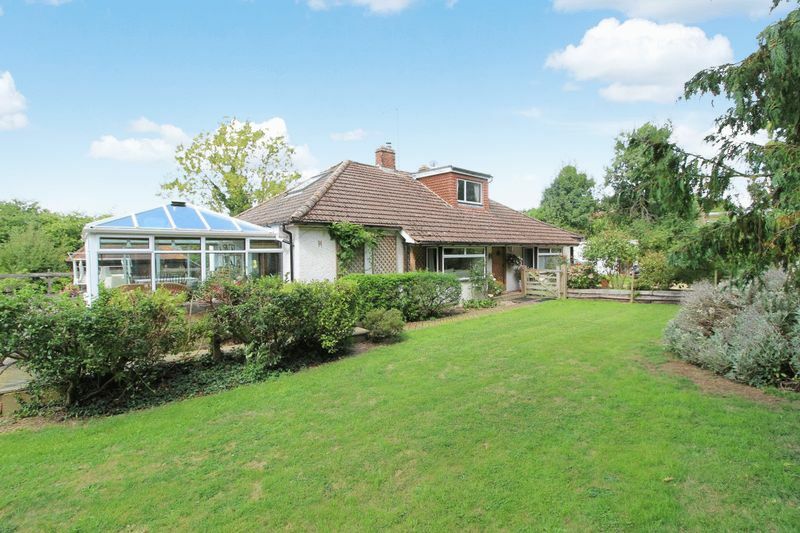 We are delighted to offer this rare opportunity to purchase a large 5 bedroom, detached chalet bungalow in the sought after area of Hever, Kent. 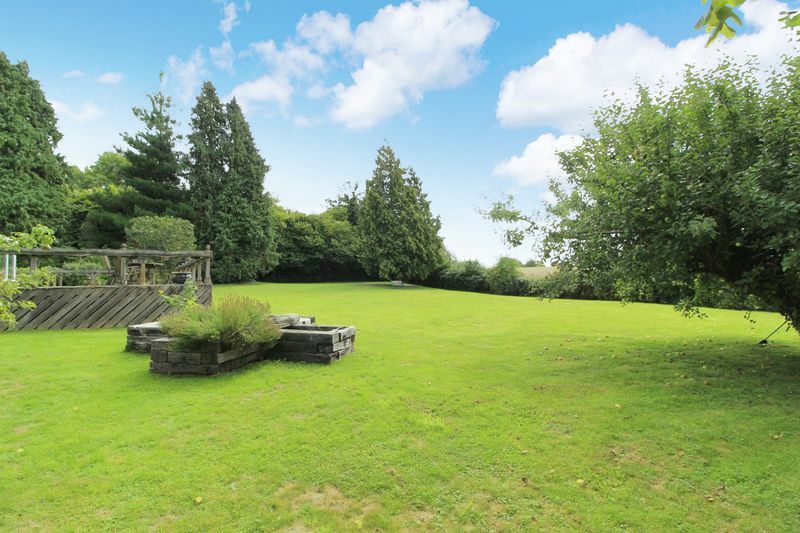 The property is located in the small village of ,Bough Beech, less than 2 miles from the stunning Hever Castle and 4 miles from the Tudor town of EdenbriDge. 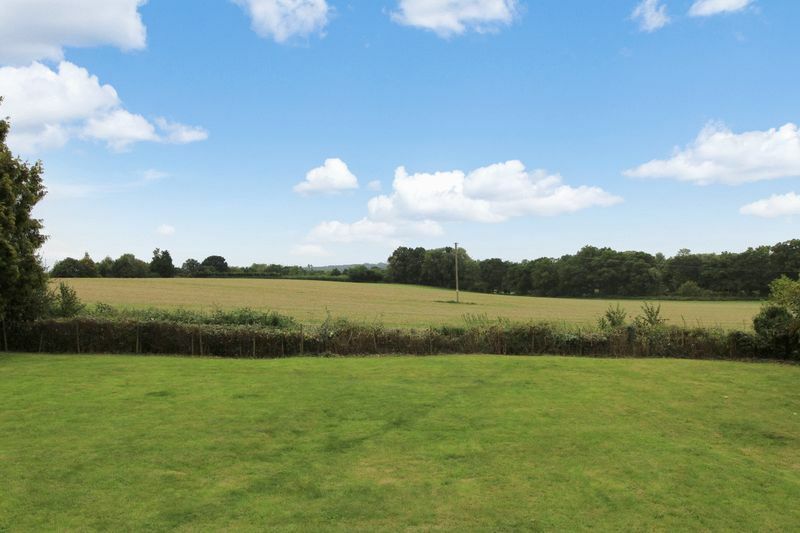 There are 4 train stations within 4 miles offering great links, including direct trains to London in less than an hour. 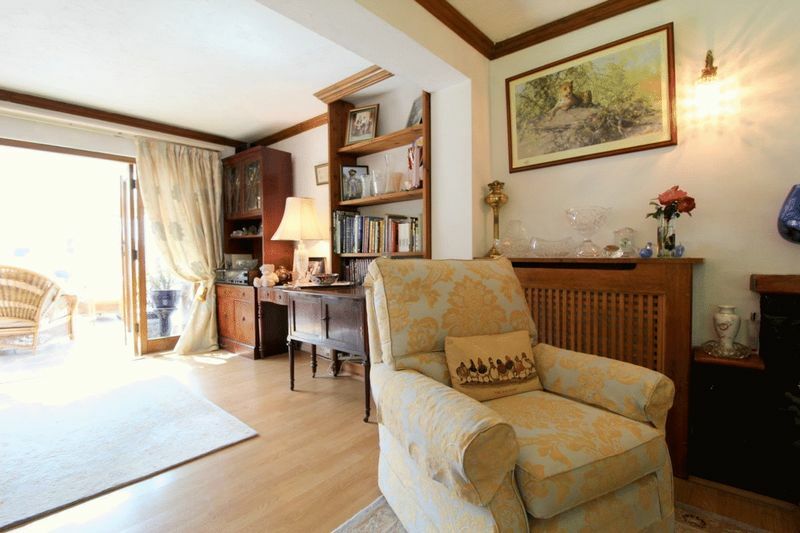 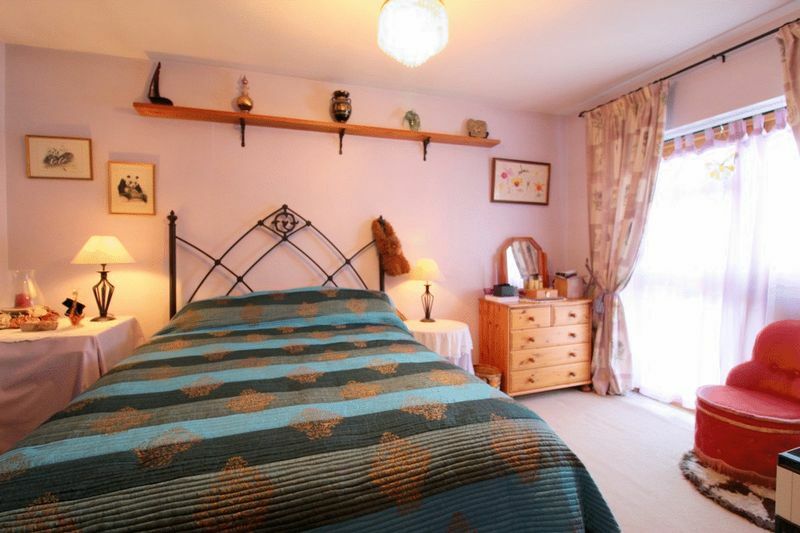 The area offers a good range of both primary and grammar schools , shopping, dining and more. 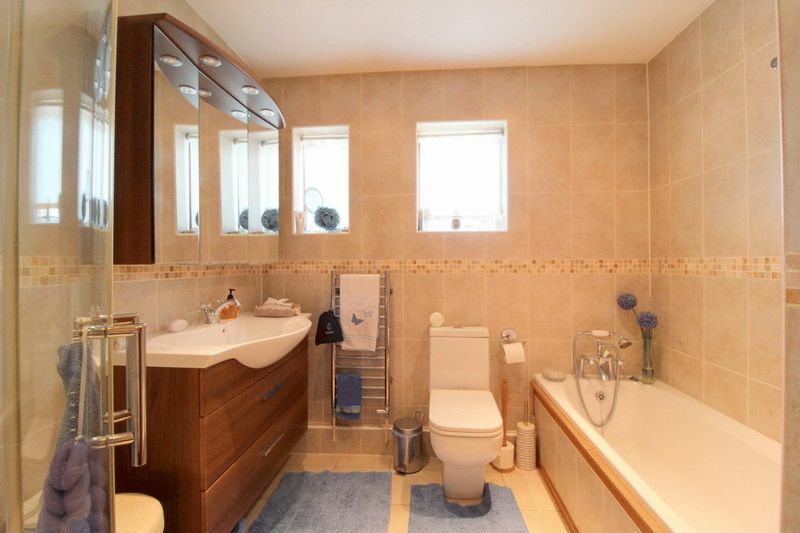 This is ideal to have the tranquillity of country living paired with the liveliness and convenience of city life. 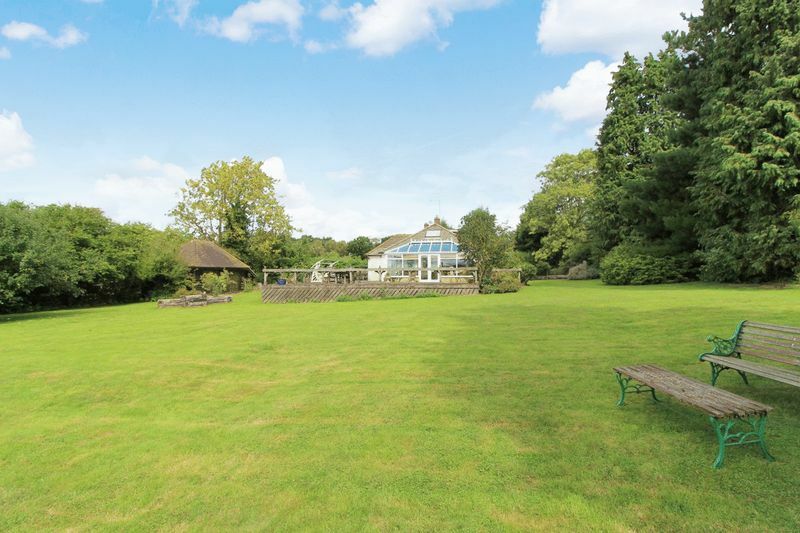 The property itself is set in over half an acre of mature gardens. 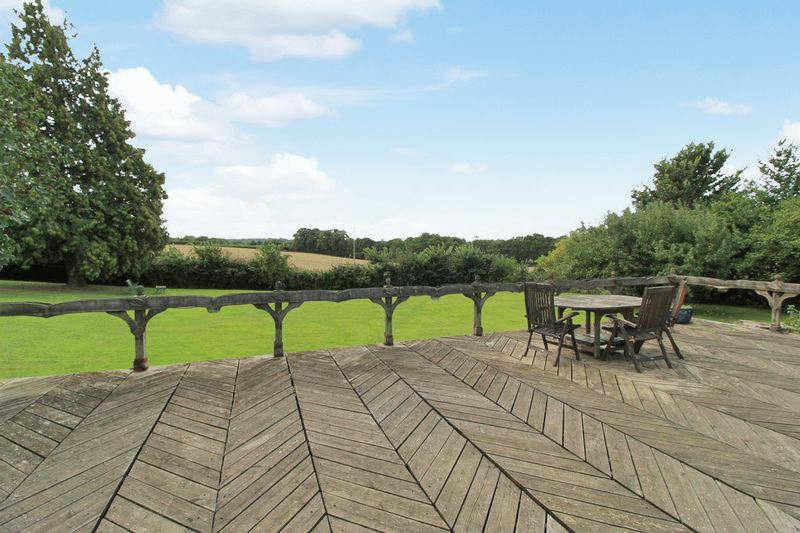 The large rear terrace and gardens enjoy a southerly aspect and look out across open fields. 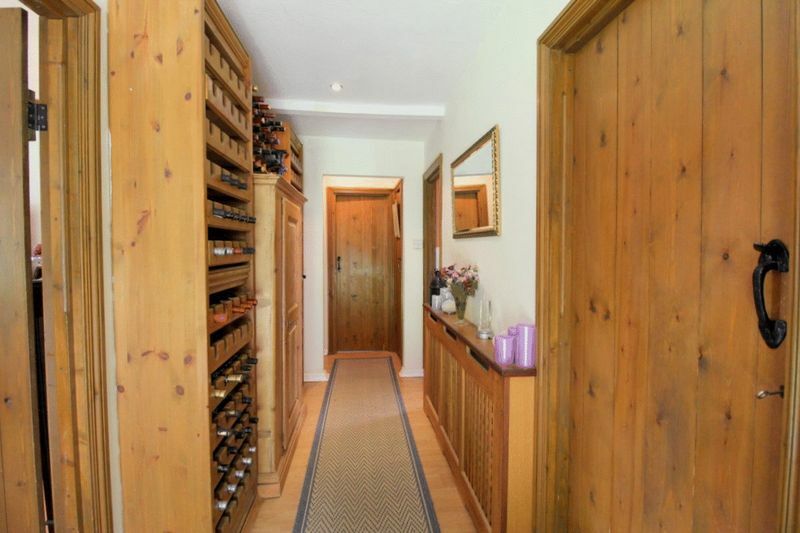 It is close to, but set back from, the main road and is approached by a private drive. 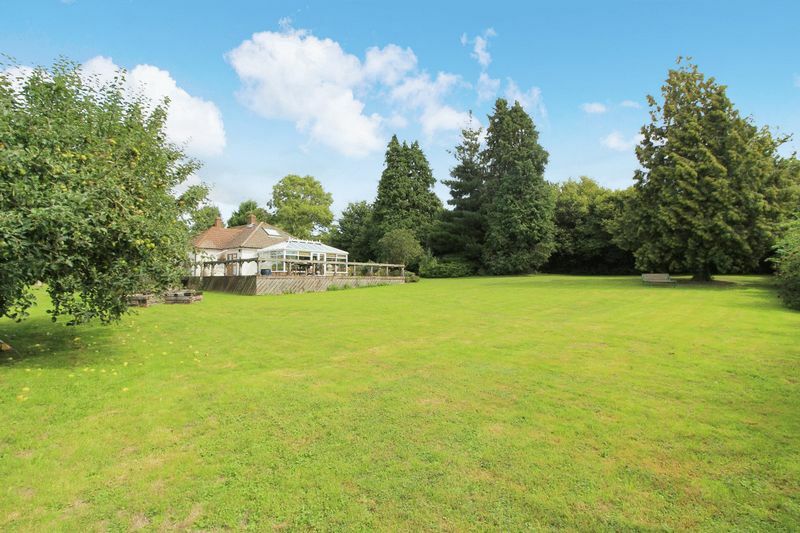 There is ample parking as well as a stand alone single garage to the front. 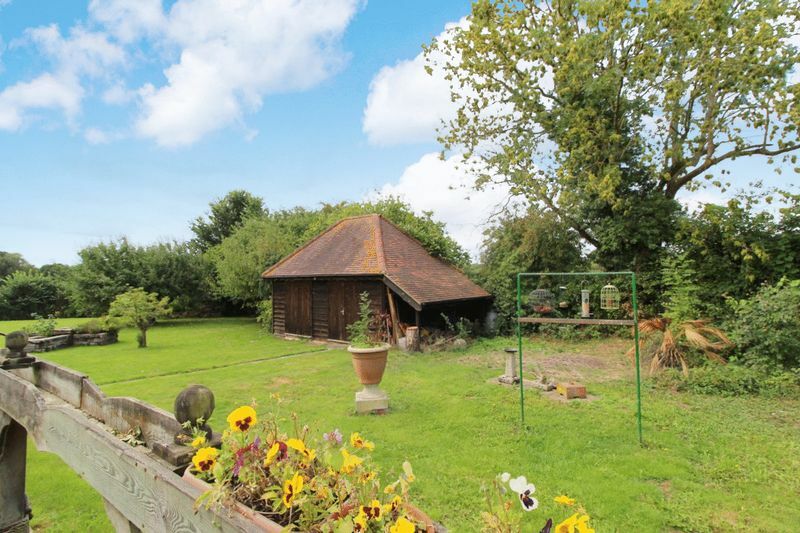 Also there is a substantial two story timber barn or Mazot within grounds , this currently used for storage however due to its size it could be converted in a more usable space. 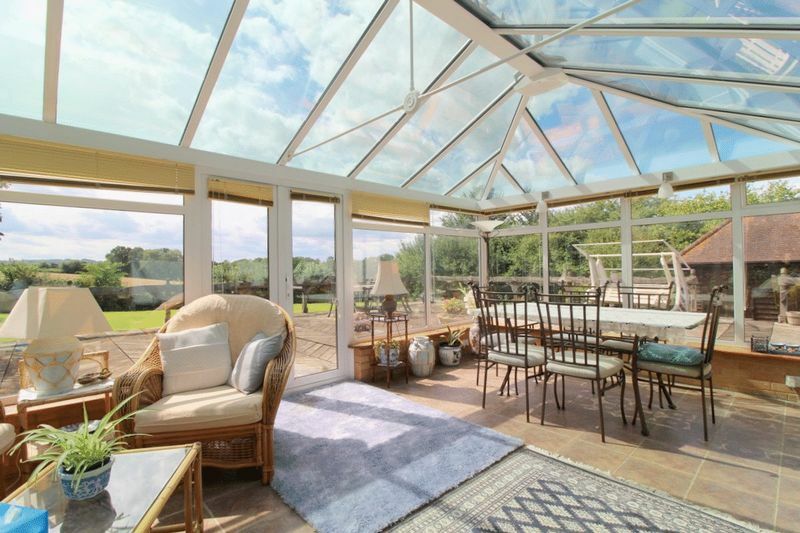 Once you step inside the main house you will find a large, light and inviting living area with log burner, which leads through to a conservatory of equal size. 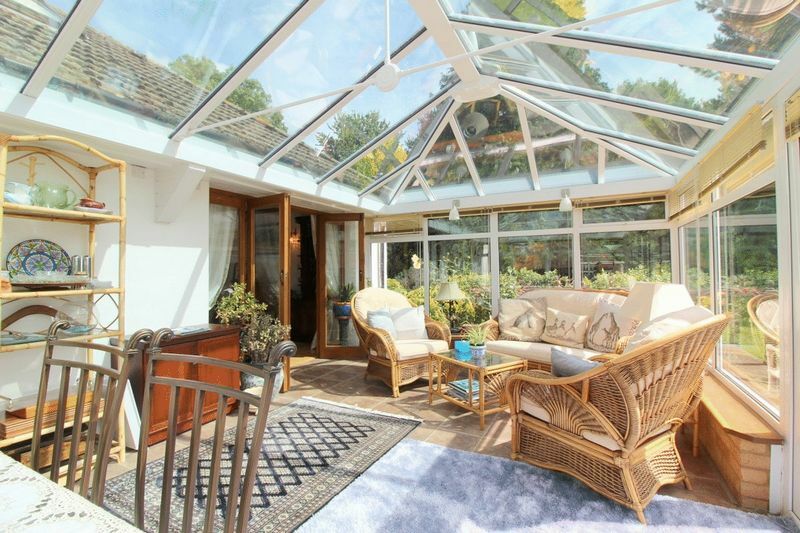 This is the ideal entertaining spot as it leads directly to the terrace and gardens. 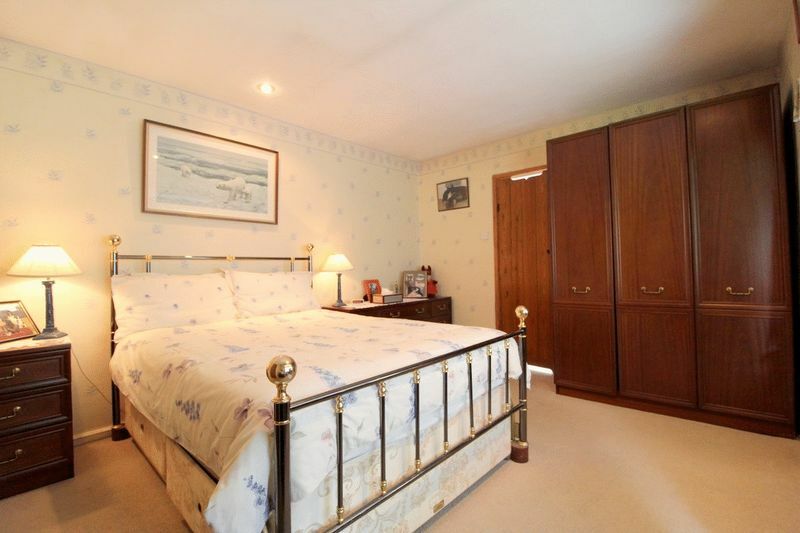 The terrace wraps around one side of the property with doors leading to one of the bedrooms and the kitchen. 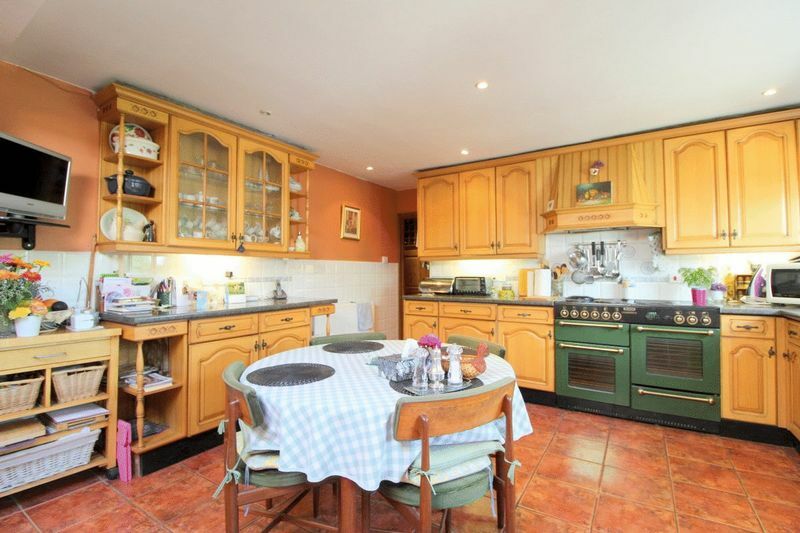 The kitchen is once again large and spacious, comfortably housing a 6 seater table. 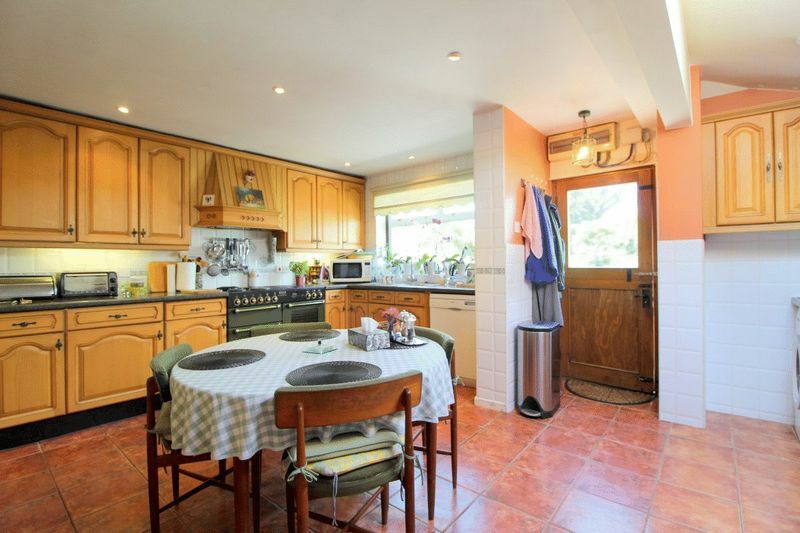 It also boasts a range cooker, plenty of storage and worktop space as well as a good area for utilities and extra white goods. 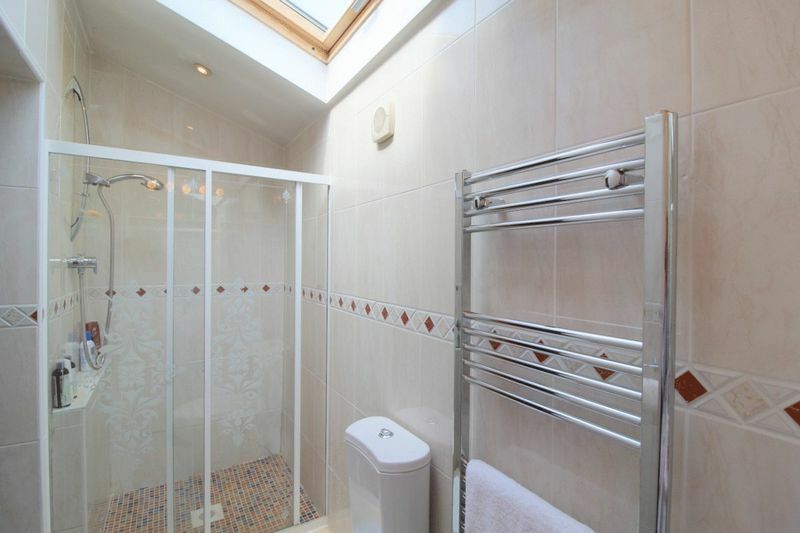 Also on the ground floor you find 3 good-sized double rooms (one with an en suite shower), A large family bathroom with bath and separate shower cubicle and A further separate WC. 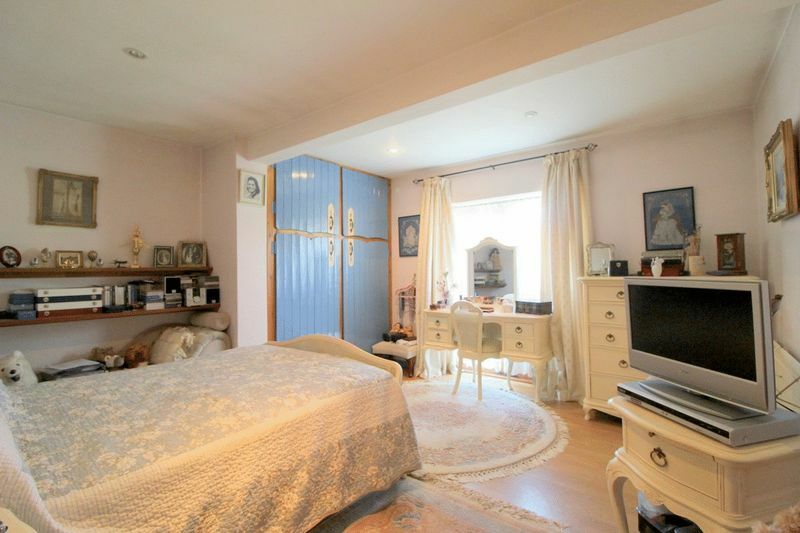 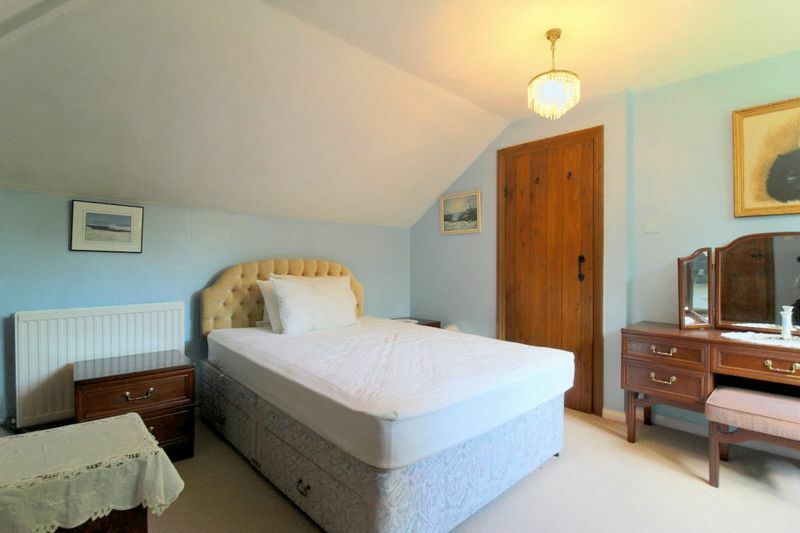 The first floor has 2 rooms , one a spacious double with lots of storage and access to the loft. 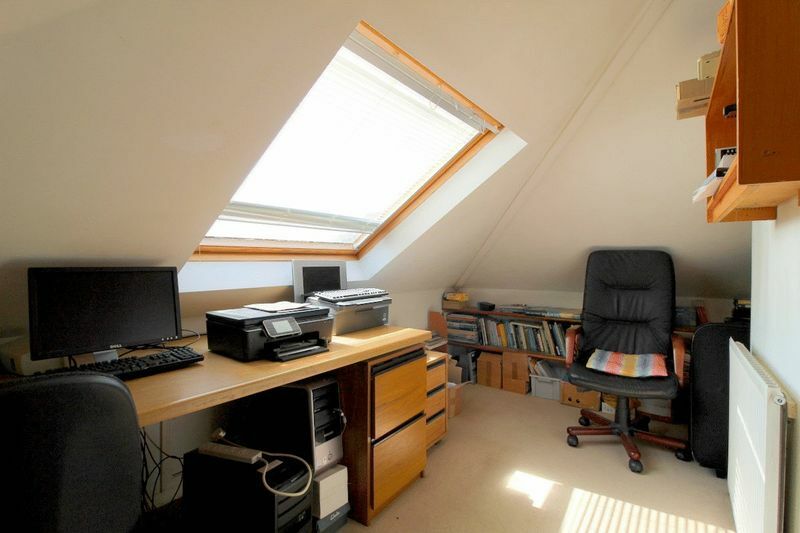 The other affords less space due to sloping ceilings however would make a comfortable single or office, as it is currently used. 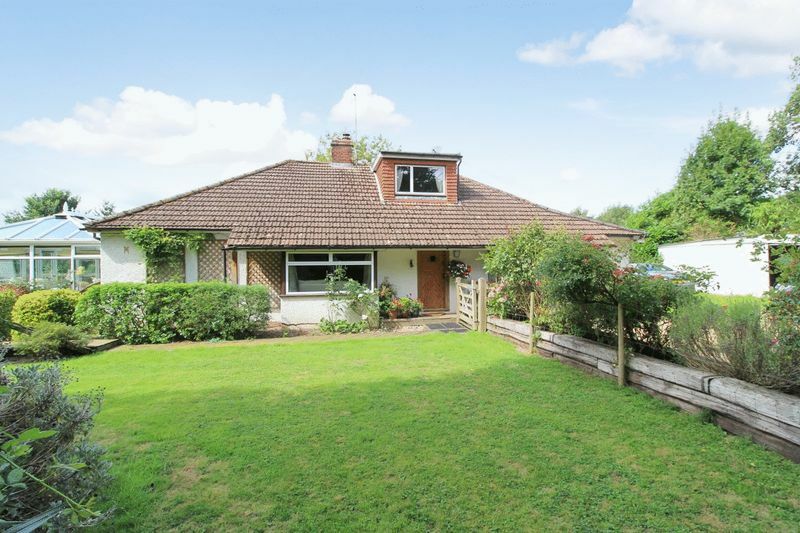 The property is presented well , however there is plenty of opportunity to redesign and or extend (SSTP) .